Power amplifiers increase the output level of signals in order to sound louder. 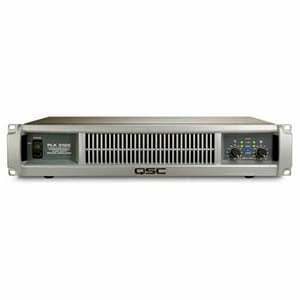 A quality power amplifier will keep the sound clear and help it come alive, provided they are used correctly. In this guide we will teach you about the anatomy of a power amplifier, as well as how to choose them for your system and use them properly. A typical two-channel amp will have volume knobs for each of the amp’s channels, along with LEDs to monitor signal level and clipping (a term used to describe when a signal is momentarily exceeding safe levels). If your signal is clipping it will sound distorted. Excessive clipping will damage the amplifier. For this and other reasons it is extremely important to properly match your amp with your loudspeakers. It will help to avoid overheating issues as well as damage to the amp and/or speakers. The key parameter of an amplifier is its power output rating (how loud is it?) Power rating is measured in watts, but wattage is only part of the equation. 200 watts may be twice the electrical power of 100 watts, but this is not the case in terms of loudness or acoustic power, which follows a logarithmic scale. Every time the volume is doubled, a 10x increase in electrical power is required. To double the volume level of 100 watts, 1000 watts would be needed. The delivery of power is one thing, but how loudspeakers receive and handle the power must be considered as well. Impedance, or resistance the loudspeaker presents to the amplifier, is measured in units called Ohms. The relationship between watts and ohms not only determines how loud the system will be, but also whether or not the amplifier’s heating will be manageable. Higher impedance translates to lower wattage. Lower impedance means higher wattage. A lot of amplifier advertisements have power ratings shown at very low impedance, which makes the amp look good on paper but is actually misleading in regards to useable power. 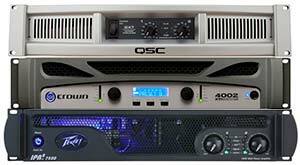 If the amp is rated at 500 watts at 4 ohms, an 8 ohm speaker (most passive loudspeakers are rated at 8 ohms) will draw less than 500 watts of power (higher impedance draws less power). From amp to amp it will vary, but a good rule of thumb is that halving the ohms results in a bit more than half the power, or about 250 watts in the aforementioned example. If you are looking for an amplifier, you will need passive loud speakers (active speakers have built-in amplifiers). The passive speakers in the system (and how many of them are connected to the amp) determine the ohms rating. See the section on Amplifier Operating Modes for more detail on setting up speaker systems and how ohm load will be affected. In addition, read the AMS Live Sound Buyer's Guide for more info on sound reinforcement systems. Power Ratings are specifications on passive speakers. They help you determine which amplifier you need. Program (PGM) is the wattage level where the speaker is most efficient. It represents a realistic scenario in which input level rises and falls, giving the speaker time to rest. Continuous, sometimes referred to as RMS (Root Means Square) represents what the speaker can handle when the same amount of power is applied continuously without rest. This is a more conservative rating and one that should be considered if you will be playing loud music without breaks, for long periods of time. Having a continuous signal pumping constant energy into the speaker results in heat. If the signal doesn’t wean, and you are surpassing the Continuous rating, eventually the voice coil in the speaker will melt. One of the misleading power ratings is Peak. Peak represents the absolute maximum power a speaker can handle for a fraction of a second. Feeding the speaker constant peak wattage will result in damage. When matching speakers and amps, pick an amplifier that has at least 20% more power than Program, and at least 10% less power than Peak. If the speaker has a Program rating of 500 watts, and a Peak rating of 1000 watts, the amplifier should be somewhere between 600 to 900 watts. 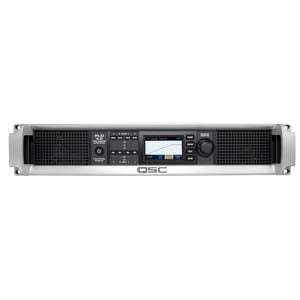 When the amplifier provides more power than the speaker’s Program rating, the speaker will perform at optimum efficiency with plenty of headroom without overworking the amp. The term headroom refers to the difference from the speaker’s normal level of operation and the point in which the speaker begins to distort. Just don’t turn the amplifier up all the way or the speaker will eventually blow. Believe it or not, most people damage speakers due to under-powering them. This is because cranking an underpowered amp all the way up can send raw power spikes that the speaker can’t handle. In addition, the amp will be working harder to give the speaker sufficient power, causing it to run hot which can damage the amp. 2 channel amps can be configured in different ways depending on the power you want to draw. Stereo mode sends power to a stereo system (left and right speakers) or can be used as two individual mono amps. Using each channel as a separate mono amp can be useful if you want to send different mixes (or amounts of power) to monitors (on stage for the band for example) as well as main speakers (pointed at the audience). Running speakers in parallel means connecting one channel of the amp to the speaker and then connecting the first speaker’s Parallel Out to the input of the second speaker. This is also referred to as daisy-chaining. Each speaker connected in the chain will half the ohm load, meaning having two 8 ohm speakers running in parallel will draw a 4 ohm load. In Bridge mode, the amplifier’s power doubles. 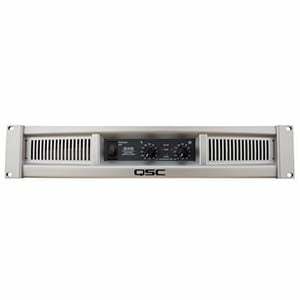 Each channel’s output is combined into a single mono output which can be useful for subwoofers and large speaker systems. Amplifiers will sometimes advertise wattage in Bridged Mono (which is A LOT more wattage than stereo). Be careful to look at each Power Output Rating (stereo per channel at different ohm loads, and bridged mono) to make sure you are properly matching your amp to your speaker configuration. 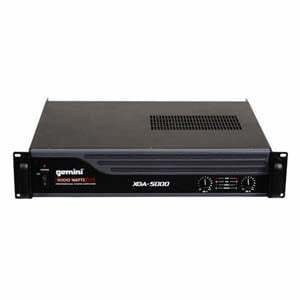 4 channel amps offer configurability like 2 channel amps. The difference is having more inputs and outputs offers superior flexibility and routing options. For example, input 1 can be routed to any of the outputs, or combinations of select outputs can be bridged mono. 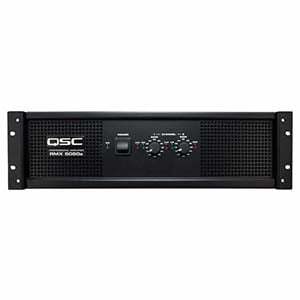 Many modern amps contain on-board DSP to enhance the overall sound and simplify setting up your system. Having on-board processing greatly reduces the need for outboard loudspeaker processors. The DSP may include a crossover (to send only certain frequencies to a particular output), EQ filters (to reduce or enhance certain frequencies of the source material), limiting (to affect the dynamics of the source material), and alignment delay (to align low frequencies (which travel slow) with high frequencies (which travel fast). Some amplifiers with digital processing also include factory presets (which can be modified and saved) for specific loudspeakers. Within the presets are DSP settings to optimize sound quality based on the gear you’re using. There are two common power supplies found in power amplifiers: Toroidal (sometime referred to as linear or conventional) and Switch-mode. Toroidal, consists of metal plates stacked on top of each other and wrapped with copper wire. Electricity is drawn from the power outlet, and through the amplifier’s circuitry, the electricity is stored in capacitors which feed the speaker with the AC current it needs to operate. A conventional power supply is variable and linear, meaning that when it is drained, it replenishes itself in a stepped fashion. 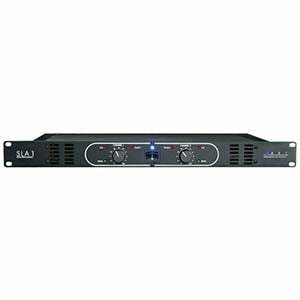 The advantage of this type of power supply is that they are cost effective to purchase, and have a distinct tonal quality. The disadvantage is they are heavy. Switch-mode power supplies use a switching regulator to switch from full power to zero power over one hundred thousand times per second. This results in the amp spending very little time in full power mode, minimizing wasted energy. The advantages are that it allows the amplifier to be much lighter and smaller yet still deliver efficient high output power. The disadvantage is they are not as reliable as Toroidal if there are small AC losses. Slew rate describes how fast an amplifier responds to changes in input voltages. Technically, slew rate is how many volts an amplifier can produce in a microsecond. The higher the slew rate, the faster the amplifier will recognize subtle transients of the input signal for translation to accurate output. 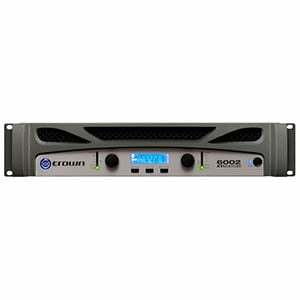 The rating can be used as a gauge of how much power the amplifier can give in the shortest amount of time. Damping describes how well an amplifier controls the push/pull mechanism of a speaker. If you send a pulse from the amp to the speaker, the natural tendency of the speaker is to flap back and forth until it rests. While the woofer is flapping around, it acts like a microphone and sends an electric current back to the output of the amp. This adds unnecessary heat to the amplifier, which lowers its efficiency. The amplifier has two jobs; one is to move the speaker when there is signal present, and the other is to stop the speaker when there is no signal present. Damping is a ratio of the impedance of the speaker to the total impedance of the system driving it. The higher the damping specification, the better the damping. Speaker cables also make a big difference in the ability of the amplifier to control the speaker. It’s best to use the shortest amount of cable with the largest gauge. Headsnack has specialized in creating training materials for some of the biggest names in music gear retail, for over 12 years. His Training Snacks brand has produced several pro audio category and product training segments which can be found on YouTube and in written form on AmericanMusical.com. As a musician, Headsnack is a positive-minded producer, performer, and lyricist who specializes in electronic beat-making and writing hilarious songs that mock humanity. His music, which has been described by fans and reviewers as everything from “conscious hiphop” to “next-level pop”, has been licensed to several artists, labels and films including Public Enemy, Sky Mall, and the Independent Film Channel. His viral-style YouTube videos have garnered over 60,000 views and he has also DJ’d for various clubs and parties for over 15 years.